Our Future Kids Foundation is legally recognized under civil law and has its headquarters in the town of Laage in Mecklenburg-Vorpommern. The sole and immediate purpose of our foundation is to promote youth development, in particular the support of children's aid projects of all kinds, in Germany and abroad to improve the living conditions and development of children and adolescents. With the Future Kids Foundation we pursue exclusively charitable and benevolent purposes. The foundation is a non-for-profit entity and starts with an endowment capital that comes from our personal assets, which we hope to increase through donations. All donations and endowment contributions are used in full to 100 %, since all costs are born by us as the founders. Furthermore, as founders we have decided to put aside 1% of our monthly income to steadily increase the foundation capital. Use our blog to learn more about our partners and their projects. We support the association Helping Hands for Orphans in Africa eV (Helfende Hände für Waisenkinder in Afrika e.V. ), which supervises a local aid project in Tororo in eastern Uganda. 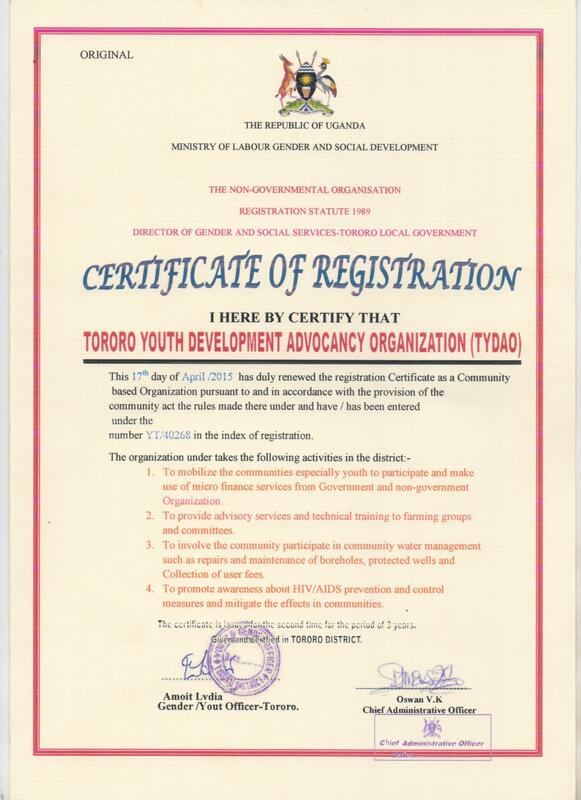 It sponsors the school fees for about 20 children and builds with its local partner, TYDAO (Tororo Youth Development Advocacy Organization), a community center for the training of children and young women for social and health issues, especially HIV prevention. In addition, we also support the association German Children's Aid Foundation (Deutsche Kinderhilfsstiftung). A special feature of the German Children's Aid Foundation is that they try to organize travels of relaxation and fun for as many children as possible regardless of their origin, religion, and race, with a focus on their socially precarious status and the severity of their impairment as disabled / chronically ill - vacation as a human right. The association also calls for the development of camp facilities for children according to their health conditions through the usage of special equipment and a loving care as well as interdisciplinary know-how. Thirdly, we work with Nachami - an association that helps people in East Africa to improve their living conditions and to overcome economic and social discrimination. The focus of this cooperation is on education and the promotion of income-producing measures in the local environment. The association informs people in Germany about the living conditions of East African families through cultural exchanges and other activities in schools and other public institutions that include information sessions, exhibitions, lessons, training courses and other events.